It’s becoming clear what the hot new topic in particle theory is these days: the use of twistor space methods to try and understand scattering amplitudes in Yang-Mills and gravity theories, especially the maximally supersymmetric versions. This evening on the arXiv there are two closely related papers on the topic: Scattering Amplitudes and BCFW Recursion in Twistor Space by Lionel Mason and David Skinner, and The S-Matrix in Twistor Space, by Arkani-Hamed and collaborators (there’s also a third, much more distantly related paper, this one). The Arkani-Hamed et al. paper gives an extensive discussion of motivation for this work in the introduction: the structure of scattering amplitudes for these theories is remarkably simple in twistor space, leading to the question of whether one can formulate the full theory directly in twistor space somehow, giving a different sort of holographic dual than the AdS/CFT one. a completely different picture for computing scattering amplitudes at tree level than given by the BCFW formalism, that we strongly suspect is connected with a maximally holographic description of tree amplitudes that makes all the symmetries of the theory manifest but completely obscures space-time locality. The history of using twistor-space to study gauge theory goes back a very long ways. Penrose started using twistor techniques to study gravity back in the mid-sixties, and after the 1975 discovery of self-dual solutions to the YM equations (instantons), it became apparent that twistor-space techniques could be used to solve them, turning the problem of solving these non-linear equations into a problem in algebraic geometry, that of constructing certain holomorphic vector bundles. Atiyah was among the mathematicians who got interested in this, and his beautiful 1979 lecture notes Geometry of Yang-Mills Fields remain a wonderful introduction to the mathematical side of the subject. While still a post-doc, Witten worked in this area, coming up in 1978 with an interpretation of the full YM equations using supersymmetry. Work on this topic was what brought Atiyah and other mathematicians into contact with physicists, including Witten, beginning a quite remarkable period of very successful interaction between the two camps. Twistors were among the things I started thinking about at the end of my graduate school days in the mid-eighties, for a completely different reason, one that has nothing to do with the current interest in the subject. I was interested in the problem of how to put spinors on a lattice, and the twistor geometry story gives a beautiful way of thinking geometrically about spinors. This idea never really got anywhere, although I did notice some relations between the geometry of the standard model gauge groups and representations that I wrote about back in 1987 and still find quite remarkable. It will be interesting to see what new ideas emerge from this latest wave of interest in thinking about quantum field theory in twistor-space. Twistors are in the air… Earlier today, for no particular reason I dug up the lectures by Cachazo and Svrcek on their work with Witten. Great timing! You would make a good trendscout. The last months I’ve heard a ‘twistor’ here or there and was wondering if that takes off. Well, it seems like it does. All this perturbative field theory fashion is so retro. When will people go back to really cool stuff like the landscape or warped extra dimensions? You’re right, the way I wrote this is not fair, but either writing all the names or picking and choosing who to label things by are both also problematic. Now I see why this field is full of acronyms. Instead of “Arkani-Hamed et al.” I’ll write “ACCK”…. My experience suggests that when a paper contains exclamation marks which do not refer to the factorial, this is a sure sign that something is being hyped. I seem to recall that this principle worked very well, for instance, in the case of the now completely dead and forgotten “PP wave” craze. This too shall pass. re:artful codger, i think the presence of NAH on the author list is also often a good sign that something is being hyped …. The twistor-Yang-Mills correspondence grew out of a gravitational version by Penrose (the “nonlinear graviton”); it was Richard Ward who worked out the electromagnetic and Yang-Mills analogs — and I think Ward may have been stimulated to take up the Yang-Mills case by discussions with others. At any rate, Ward deserves mention here. Thanks. I wasn’t trying to give a detailed history here or even mention all the crucial people involved (because there were quite a few of them, including several physicists). I’ve always thought that the history of twistor methods as applied in physics contains a valuable lesson for string theory, albeit on a smaller scale. Twistors started as an attempt to formulate a nature. Not a bit of it, but the whole thing. This didn’t quite work in the form conceived, although it obviously had an inherent beauty. This led to ever increasing mathematical sophistication, with only brief touches with physics. Sounds familiar? Of course, as recent developments appear to show: twistors remain a very clever idea that now might find it’s right place in physics. In my opinion, strings is something similar in nature. Actually, in some ways the history may be the opposite. Twistors were initially a tool in general relativity, with some hope for using them to quantize gravity. There was little if any interest in the idea of getting particle physics or a TOE out of them. They did have an impact on particle theory, but purely as a technical tool for constructing instanton solutions, which could then be used in semi-classical approximate calculations in Yang-Mills theory. In the recent work, they also a appear as a technical tool, better variables for scattering amplitudes. But I still think there’s a chance that twistors are much more than a technical tool, but instead a fundamental insight into how geometry and physics are connected. Maybe someone will make some progress on the question of how to reformulate QFT in these variables in an interesting way, and twistors will move from being a technical tool to a fundamental idea behind a TOE. Here is a link to an article by Penrose on the origins of twistor theory. You’ll see that the motivations were diverse, including both insights from g.r. and hopes of integrating quantum theory. Twistor diagrams were an early part of this, growing in part out of spin-networks. The diagrams can be viewed as attempts to define scattering amplitudes for massless fields of pure helicity; associated with this was an attempt to develop a theory of massive particles with such massless constituents. (See e.g. Hughston’s Twistors and Particles.) 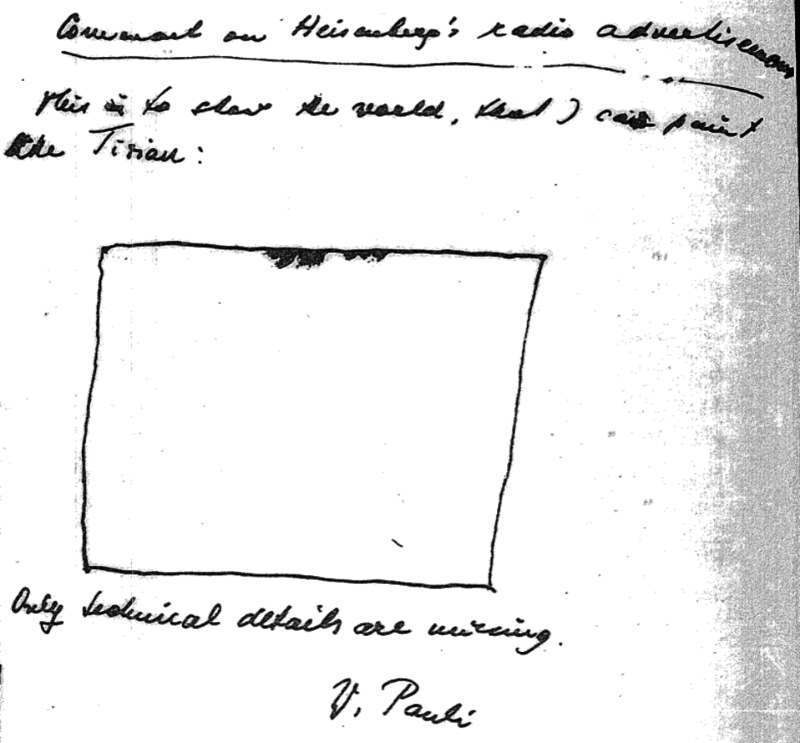 That attempt didn’t gain much traction, partly because the twistor diagrams were so hard to evaluate that that limited the degree to which the theory could be developed. It has been challenging, but not impossible, to adapt twistors to g.r. The most full-bore approach is via CR structures (Penrose again, with notable contributions by LeBrun, Sparling and Mason), which associate to a Cauchy surface (or more generally an acausal hypersurface) a CR twistor space. The mathematics is very interesting, but so far I am not aware of any contributions to physics from this. Another approach in g.r. is to define twistors on spacelike two-surfaces of interest as a first step towards defining energy-momentum and angular momentum quasilocally (Penrose again). I’ve recently built on these ideas to give a treatment of angular momentum at null infinity. there were even earlier papers by Shaw on applications of twistors in string theory that I know of (sorry can’t open your thesis 🙁 ). Now only generalise these to AdS_5xS_5 🙂 On that note, Berkovits’s pure spinors are very close cousins of 10D twistors. For those interested: there is a fairly recent mini-survey on twistors by Penrose himself.